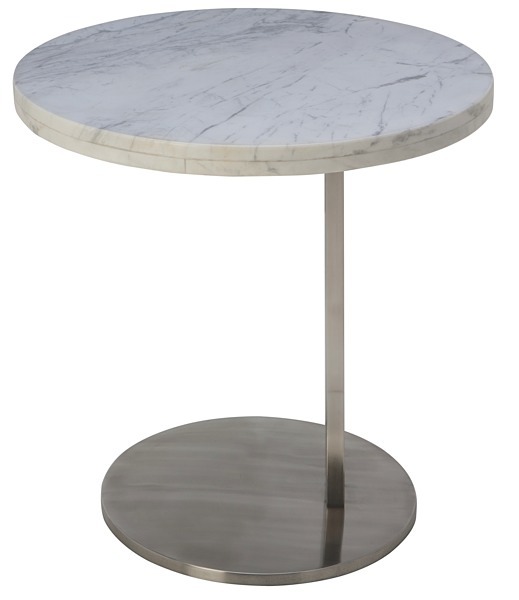 The ultra modern Alize Side Table features rock solid, stainless steel construction with a brushed finish. 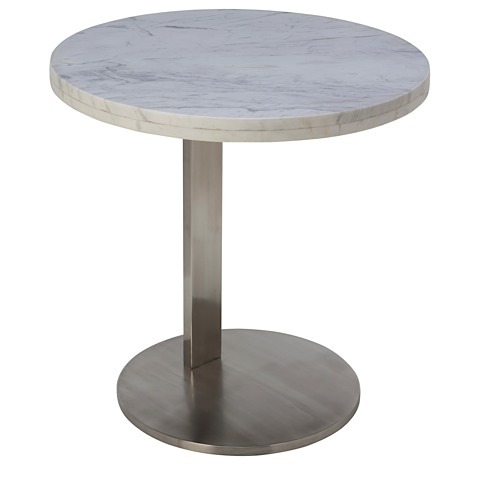 The top of the table is solid white marble and measures 19 3/4" in diameter. The quality of the table is impeccable and is considered commercial grade.